It has become a depressingly familiar theme over recent weeks that those top six elite clubs from whom Burnley had the effrontery to take points earlier in the season, have one by one turned up at Turf Moor and exacted their revenge. Manchester United yesterday became the latest to do so, following on from Spurs and Liverpool in previous weeks. But despite the disappointment of the result, there was nonetheless much about Burnley’s play yesterday to provide encouragement that better times lay just around the corner. At no time could United claim to be in control of the game and at times they were hanging on with a degree of desperation, but the equaliser which Burnley’s play undoubtedly merited never arrived. Hanging on and grinding out a 1-0 win is what Burnley have done to other clubs more than once this season, yesterday they had it done to them. Johann Berg Gudmundsson’s free kick twanged the cross bar, Ashley Barnes and Sam Vokes both had headers narrowly wide and the best chance came when an inviting cross fizzed through the United six-yard box just begging to be turned in. Had a forward, whose instincts for such chances are generally sharper, been the closest Burnley player, rather than James Tarkowski; then the Clarets would surely have equalised. As it was, Anthony Martial’s goal settled the encounter and Burnley were left nursing another defeat, continuing a slide which, whilst not yet alarming, has definitely become more than frustrating. Watford, whose season’s trajectory has been similar to Burnley’s, have today sacked Marco Silva, citing unwelcome interest from Everton as a disrupting factor. This may or may not have been the case but it is a move which smacks of panic. Sean Dyche was also strongly linked with the Everton vacancy but did not allow the speculation to interfere with his focus on the job in hand and neither Dyche, nor his employers on the Burnley board, will be moved to knee-jerk reactions over the dip in form from which the Clarets are currently suffering. So I cannot go along with the theory that I have heard expounded that the apparently imminent arrival of Aaron Lennon from Everton is a move motivated by panic. Lennon would admittedly be an unusual signing for Dyche; once a teenage sensation, he is without doubt gifted, but also inconsistent, injury-prone and generally high-maintenance. 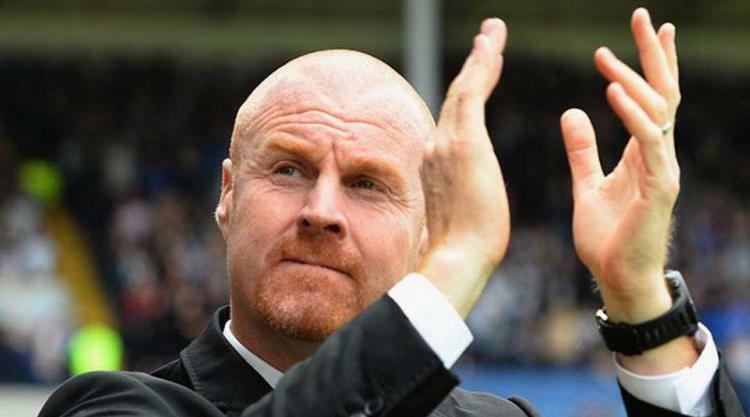 Harnessing his talent will be a challenge for Dyche, but if he is able to do so he could provide Burnley with that extra special additional dimension they are so lacking at present.. Finally, in over half a century of watching football, never before have I witnessed the announcement of the referee’s name before kick-off being greeted with such voluble groans of disappointment. During the game, Mike Dean continued to justify the reputation he has garnered amongst Burnley fans. If he never referees at Turf Moor again it will be way too soon. This match review was written by long suffering Burnley fan Dave Thornley. Dave contributes regularly on behalf of Clarets Mad and will no doubt he hoping to write a happier tome following the final whistle at the home of Newcastle United on January 31st? (TEC).